Conspirare is a Latin term it means 'to breathe together.' It's also the name of professional chamber choir made up of talented singers from around the country. They gather in Austin, Texas where their founder and artistic director, Craig Hella Johnson lives and works. 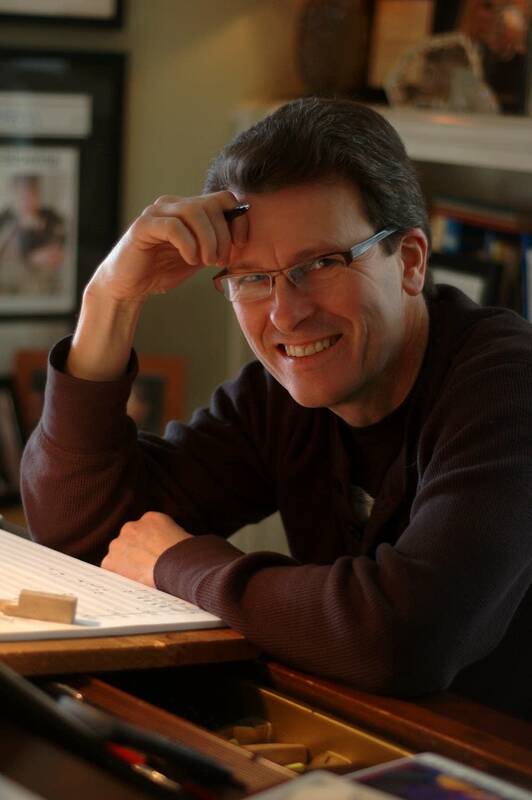 Craig is a native Minnesotan whose musical path as a piano major led him to St. Olaf College, then the Juilliard School, and Yale. So how does a piano major become the founder and conductor of a top choral ensemble, "I'd never considered a career in choral music because it seemed so fundamental - like, isn't that just always a part of your life? One day it hit me like oh my Gosh, I love this, you know, I truly love it. And yes, it just seemed too close, it was a total surprise. And so,yeah. It made sense. Everything about my piano training, my first piano teacher on the Iron Range was always talking about a singing tone. So everything, even at the piano, was always about singing for me." The program will feature rarely performed choral works by the late composer (who was recently awarded a 2016 Grammy for Best Contemporary Classical Composition), as well as the 2007 Conspirare commission, Poemas de Amor. I must admit, I am quite giddy about next Monday's program. There are two pieces in particular I'm most excited about; Barber's Agnus Dei and Stephen Paulus' The Day Is Done. I have heard these pieces countless times before, but to hear them performed LIVE by one of our county's finest choirs, is definitely a bucket-list moment for me. Hopefully y'all will join us next Monday night for an emotional and heartfelt musical journey. For more information, visit the Ordway box office..